As a Town Meeting Member, I’d like to offer a perspective on Warrant Article 18 that doesn't appear in the Article’s description or the Selectmen’s or Advisory Committee’s recommendations. Seems innocuous enough… slower drivers = safer roads for pedestrians, cyclists and other drivers. Who could possibly be against that? I ask you to consider the possibility that lowering speed limits in some but not all areas may result in more drivers of color (many, though not all, who are just passing through Brookline) being disproportionately stopped by Brookline Police. This is an issue that is historically well known to drivers of color in the area and is borne out by stats in Brookline PD’s most recent annual report. Commendably, Chief O’Leary and the brass at Brookline PD have long-acknowledged this issue and have taken steps to mitigate the effects of implicit bias through enhanced officer training. Nevertheless, it stands to reason that the change proposed by Warrant Article 18 could lead many drivers to unknowingly pass through multiple speed limit zones during a single trip through town, providing more opportunity for police stops of some drivers exceeding those limits, and consequentially, more opportunity for implicit bias and more overt forms of discrimination to rear their ugly heads. This is not a condemnation of Brookline Police as racist, but rather an acknowledgement that systemic racism is pervasive and must be accounted for when assessing any policy or legislation. That is the entire point of the Government Alliance On Race & Equity (GARE) article, which will also be voted on at Town Meeting. It should go without saying that implicit bias in policing is a legitimate concern, yes, even in Brookline. And just as we need speed limits for motorists, many of whom would drive responsibly even without posted limits, so too do we need limits for police – particularly due to the tremendous power and discretion they’re granted. However, here is the larger issue at hand: Why wasn’t this issue raised by the Transportation Board that submitted the Article or the Selectmen and Advisory Committee that recommended it? I’m not alleging anything nefarious here; only that we all have certain blind spots when it comes to our awareness of issues affecting those who are different from us. And, further, that the obvious lack of diversity in town governance has exacerbated those blind spots, resulting in the perspectives of many residents being under-considered. How may this action disproportionately impact those who do not have a seat at the table, particularly people of color and other under-represented voices? If this question is not being asked, then we run the risk of unwittingly passing legislation and enacting policies that are inequitable and unjust. 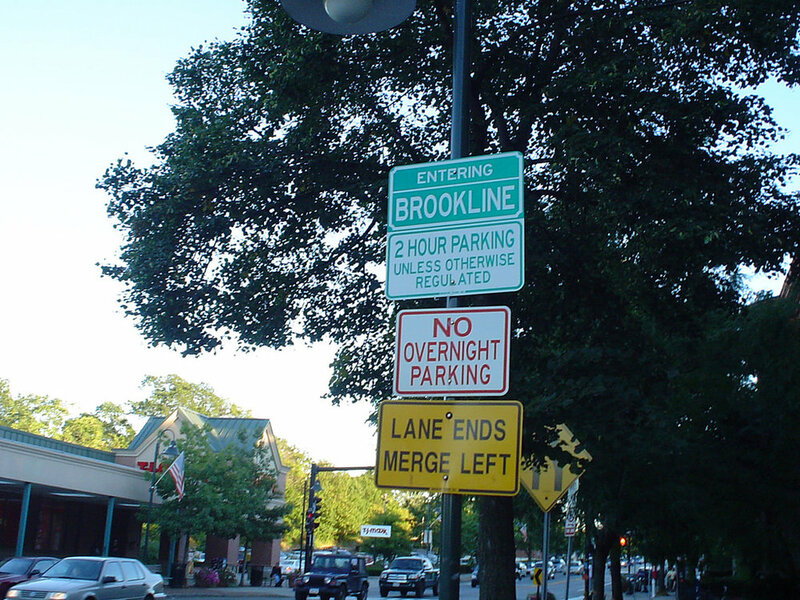 As we deliberate and vote on articles in this Town Meeting and those to come, I urge all parties to consider both our blind spots and the perspectives of others as we work together for a better, safer and more socially just Brookline.